This year we are celebrating 20 years of FACT leadership. Two decades ago, ASBMT and ISCT leaders joined to hold themselves and their colleagues up to a higher standard (literally) for the benefit of our patients, to improve blood and marrow transplantation, protect the research environment, and minimize regulatory burden. 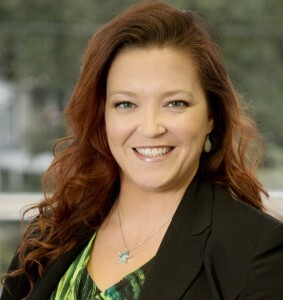 The success of FACT’s standards and accreditation program, accomplished through a collegial network of supportive peers, soon appealed to other organizations and resulting partnerships with JACIE, NetCord, and several others has further expanded FACT’s influence around the globe. The most remarkable point to make about FACT’s reputation as the pinnacle of quality in cellular therapy is that it is completely driven by us, those in the community. FACT’s Board of Directors, committee members, and inspectors are all from accredited programs. We set our own requirements, we inspect each other, we educate each other, and we encourage each other to improve. In an increasingly competitive world, the FACT international community can be proud to say that we are all helping each other. This spirit of collaboration is what truly benefits patients. 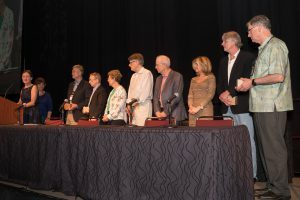 The first set of FACT Standards and the 11 founding Board members has grown to 12 different editions of Standards and thousands of participating cellular therapy professionals worldwide. We are fortunate to be part of a visionary field and our impact on the practice of medicine continues to grow. FACT accreditation has made cellular therapy more available to patients around the world, and I look forward to celebrating many more achievements in the future. At the 2016 BMT Tandem Meetings CIBMTR General Assembly, the founding FACT Board Members were honored with an awards ceremony. Dr. Warkentin also recognized ASBMT as one of FACT’s founding parent societies, and outgoing ASBMT president Effie Petersdorf accepted the honor. Additionally, Alan Leahigh, former Executive Director of ASBMT and former Chief Executive Officer of FACT, and still friend and mentor to volunteers and staff of FACT, was recognized. FACT is proud to announce its 20th year as the leading organization in standards setting and accreditation for cellular therapy, hematopoietic stem cell transplantation, and regenerative medicine. In addition to a successful cellular therapy inspection and accreditation workshop, quality boot camp, and two leadership courses at the 2016 BMT Tandem meetings, FACT kicked off its 20th anniversary and celebrated with numerous special events. Throughout the BMT Tandem Meetings, FACT welcomed visitors to a lively exhibit booth. Attendees who wore their commemorative FACT 20th anniversary pin received small gifts and were entered in a daily drawing. Day one was themed Throwback Trivia Thursday. Attendees played FACT Jeopardy and entered to win a portable smart phone charger. Day two was deemed FACT Fortune Friday. Participants received a FACT fortune cookie and registered to win an Amazon TV Fire Stick. On day 3, participants enjoyed taking selfies at the booth on Selfie Saturday, and entered to win a selfie stick of their own. On the final day of the exhibit booth, Sunday Fun Day, all attendees who visited the booth enjoyed a package of Fun Dip Candy and entered to win a Microsoft Band 2 Activity Tracker. FACT thanks everyone who stopped by the exhibit booth and congratulates the lucky winners! 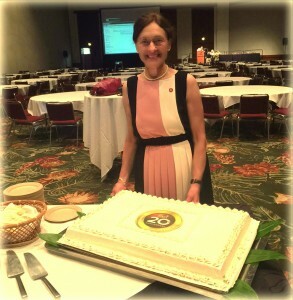 FACT also hosted a 20th Anniversary reception at the Hawaii Convention Center. Many FACT colleagues, volunteers, and friends enjoyed hors d’oeuvres and drinks as FACT celebrated two decades of working together in the BMT community to improve patient care and safety. Guests enjoyed watching a short video highlighting FACT’s past 20 years, and saw some familiar faces who have been an integral part of FACT since its beginning. Click on the gallery below to view full-size photos of the celebrations. FACT will celebrate its anniversary throughout 2016 and plans to host several similar events at the ISCT North America Regional Meeting in Memphis, Tennessee. Register for the Cellular Therapy and Cord Blood Inspection and Accreditation Workshop in Memphis on September 29, 2016! Citations are not the only thing inspectors see on site. Conducting FACT inspections opens a world of ideas for complying with FACT Standards and improving processes for inspectors. In fact, the exchange of ideas among peers is one of the founding principles of the accreditation program. To leverage the ideas our accredited organizations implement, FACT encourages inspectors to notify Accreditation Coordinators when they see a particularly commendable practice during onsite inspections. Commendable practices could be a particularly efficient method for document control, sophisticated process flow mapping, physician and staff training programs, follow-up activities in response to audits, and more. As an inspector, if something strikes you as impressive or worth implementing in your own organization, we want to know about it! Contact the FACT Accreditation Coordinator. The ultimate goal will be to follow up with the applicable organization to learn more about the commendable practice and share it with the entire FACT community. When appropriate, ideas may be referred to our parent organizations, ASBMT and ISCT, to develop best practices. After all, accreditation is more than correcting deficiencies; accreditation celebrates the quality of the program. Richard C. Meagher, PhD, is the Section Chief of Cell Therapy Laboratory Services at Memorial Sloan Kettering Cancer Center in New York, NY. Although Dr. Meagher is a research scientist by day, he is also a FACT inspector, and has been since the inception of the FACT accreditation process. He performed his first inspection in the year 2000, and has since completed 48 inspections (or an average of 3 inspections a year). In addition to volunteering as an inspector, he is a co-chair of the FACT Cellular Therapy Processing Facility Standards Committee and a member of the FACT Cellular Therapy Standards Steering Committee. 1. Involvement with FACT helps inspectors remain current with the regulations and provides ideas for complying with them. 2. Inspectors’ own programs benefit from their gained experience. 3. Inspectors have many opportunities to meet their peers and form new relationships. 4. FACT provides an incredible amount of support to inspectors free of charge, such as webinars, advice and recommendations about laudable practices, and the online FACTWeb accreditation portal. 1. Use the tools that FACT provides to you and certainly take advantage of the collective knowledge of the FACT office staff, which is exceptional. 2. When requested to perform an inspection, it is important to do your homework BEFORE you show up for the inspection. In the new electronic age it is easier than ever to conduct a full review of the documentation that is initially required by the FACT office prior to the inspection. 3. Use your inspection preparation time to identify issues that will need further clarification, and, if necessary, request additional information before conducting the inspection. 4. Use the previous accreditation reports to help guide your current inspection, with an eye on new or revised standards that may have been released. 5. Establishing a cordial atmosphere is critical to conducting a successful inspection. The inspected program or facility personnel will likely be nervous. Assure them that your responsibility is to help. 6. During the inspection it is the inspectors’ responsibility to ask questions to clarify any perceived issues. A useful tactic is to ask the question from different perspectives to make sure the program personnel understand what information you are seeking. 7. Examination of the quality management plan and how it is implemented lays a foundation for assessing compliance with the Standards. 1. Starting the preparation process for an onsite inspection early is the ultimate key to success. 2. Check for applicable new or revised standards and conduct a gap analysis to determine which standards apply, and whether you have documentation to substantiate compliance. 3. Assemble a binder with the applicable standards indicated and the corresponding documentation. 4. The inspection process is normally only a one day event. Making sure that the inspector has all of the information needed to make an informed recommendation for accreditation rests with the program or facility. 5. Commonly observed deficiencies are related to communication among personnel across departments and quality management activities. FACT is incredibly grateful to Dr. Meagher’s commitment to FACT and the organizations he has served as an inspector. We encourage all inspectors to greet FACT inspections with the same enthusiasm he displays. Would you like to share your advice and experiences from serving as a FACT inspector? Submit your story on the FACT website. A testament of FACT leadership’s dedication to its accredited organizations and volunteer inspectors is the strong infrastructure provided at the FACT accreditation office in Omaha, Nebraska. FACT staff members provide executive guidance, implementation strategies, committee support, and, most importantly, guidance to organizations and inspectors. All of these activities are directed by and accomplished for volunteer committees of experts, who are deserving of support that matches their contributions. FACT-accredited organizations continue to grow by number, geography, and complexity. To maintain and build upon the support provided by FACT since its inception 20 years ago, the office has welcomed four talented individuals to the accreditation office. 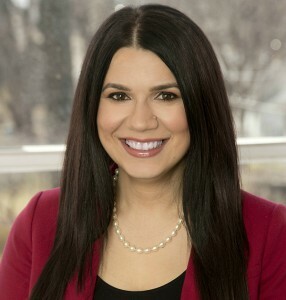 Another new FACT Accreditation Coordinator, Dina Becirovic, previously worked at Creighton University’s Department of Preventive Medicine – Hereditary Cancer Research Center and was responsible for maintaining the integrity and viability of over 50,000 biological specimens. 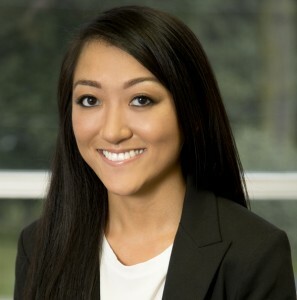 Dina is a forward-thinking individual, and what she likes about her current role, and FACT in general, is the interdisciplinary collaborative effort and process improvement to promote patient safety and provide quality patient care. 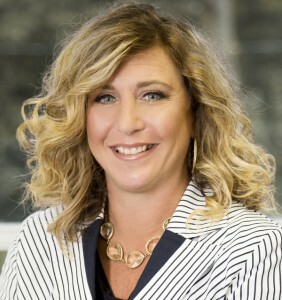 “Additionally, I appreciate the knowledge and fairness of current leadership and the futuristic outlook on reaching more organizations to ensure patient safety.” She suggests applicants and inspectors build and capitalize on working relationships with their FACT Accreditation Coordinators. A common thread throughout the perspectives of all of FACT’s new employees is the enjoyment they get from working with the FACT community – at applicant programs and with the inspectorate. FACT staff admires everyone who has contributed to the mission of quality cellular therapy and is proud to work with you. The sixth edition NetCord-FACT International Standards for Cord Blood Collection, Banking, and Release for Administration is scheduled for publication on July 1, 2016 and will become effective after a 90-day transition period. Accredited Cord Blood Banks (CBBs) must comply with the new requirements by that time. CBBs that wish to be inspected under the fifth edition must submit a completed Compliance Application before the sixth edition is published, or through June 30, 2016. Fifth edition inspections will only be scheduled through September 28, 2016. FACT Accreditation Coordinators will be in contact with CBBs that will be actively working on the accreditation process during this transition period to assist with planning and scheduling. We understand the effort involved to transition to new Standards and thank all accredited CBBs in advance for their hard work. Resources will be published with the sixth edition, including the NetCord-FACT Cord Blood Accreditation Manual, a list of significant changes, a self-assessment tool, and crosswalks between the fifth and sixth editions. The FACT-JACIE Standards Committee will begin drafting the 7th edition International Standards for Hematopoietic Cellular Therapy Product Collection, Processing, and Administration in June. FACT and JACIE invite you to complete a short survey focusing on general concepts of interest. You are also encouraged to promote this survey in your national or regional professional society. The results of this survey will be reported to the Standards Steering Committee for review and consideration. Input from programs, facilities, and individuals performing cellular therapy helps maintain the clarity, usefulness, and relevance of the Standards. Responses will be accepted through May 15, 2016. FACT is Officially on Twitter! FACT is pr oud to announce its official presence on Twitter. Every day people connect with their world online. Social media transfers FACT’s mission into collective experiences that resonate with colleagues around the globe. Demonstrate your expertise in this open forum, network with like-minded colleagues, and share ideas and information – all in the realm of a borderless and fun channel of communication. In an article published in Biology of Blood and Marrow Transplantation (BBMT), European Society for Blood and Marrow Transplantation (EBMT)-member transplant centers accredited under the FACT-JACIE Hematopoietic Cell Therapy Standards were found to comply significantly better with related donor care standards. Results described in European Group for Blood and Marrow Transplantation Centers with FACT-JACIE Accreditation Have Significantly Better Compliance with Related Donor Care Standards (Anthias, O’Donnell, et al, 2016, doi: http://dx.doi.org/10.1016/j.bbmt.2015.11.009) show practice at these accredited centers was closer to recommended standards compared with non-accredited centers, including the use of eligibility criteria and avoiding conflicts of interest between transplant recipient and donor needs. The study did find some areas of related donor care with room for improvement. Where standards do not exist, neither accredited and non-accredited centers met accepted best practice, illustrating that a risk of undue pressure on related donors and a risk of donation-associated adverse events is still present. The authors recommend measures to address these risks through enhanced regulatory standards and initiatives to standardize care of related donors. The Alliance for Harmonization of Cellular Therapy Accreditation (AHCTA) surveyed cell processing facilities worldwide to elicit information about their training and competency assessment programs. Because these programs are critical to the safety of hematopoietic progenitor cell (HPC) products, the survey results are a resource to facilities to establish and maintain a competent workforce. Results were published in Cytotherapy in Training practices of cell processing laboratory staff: analysis of a survey by the Alliance for Harmonization of Cellular Therapy Accreditation (Taylor, Slaper-Cortenbach, et al, Dec 2015, doi:10.1016/j.jcyt.2015.08.006). Respondents to the survey represented a diverse set of processing facilities and answered questions related to their facility type, location, activity, personnel, and methods used for training and competency. Data from the survey illustrated a variety of training and competency methods, with some being more common than others. The results may help processing facilities with establishing or improving their training and competency programs. The Advancing Standards in Regenerative Medicine Act directs the Secretary of the United States Health and Human Services Agency to establish a public-private Standards Coordinating Body in Regenerative Medicine and Advanced Therapies. The function of the body is defined as (1) identify opportunities for the development of laboratory regulatory science research and documentary standards that the Secretary determines would support the development, evaluation, and review of regenerative medicine products; and (2) work with such Standards Coordinating Body, as appropriate, in the development of standards described in paragraph (1). The Standards Coordinating Body (SCB) includes membership of the entire cross-section of regenerative medicine stakeholders. FACT was pleased to join as a charter member, and will organize its efforts as part of a consortium of non-government stakeholders that seeks to partner with one or more government organizations and regulatory agencies to coordinate consensus standards development efforts. More specifically, the SCB seeks to enable more efficient and successful clinical and commercial development of cellular/gene and regenerative medicine therapies through coordinating and prioritizing development of national/international standards for measurement assurance (among other objectives). As the SCB is formalized in the coming months, FACT will announce milestones and initiatives to its stakeholders. The American Society for Apheresis (ASFA), in collaboration with the American Society for Clinical Pathology (ASCP), now offers a new credential in apheresis medicine. The Qualification in Apheresis (QIA) is offered through ASCP and follows the Hemapheresis Practitioner (HP) and Apheresis Technician (AT) certifications. QIA certification expands credentialing for apheresis medicine professionals. There are specific eligibility routes that must be satisfied, including an eligibility route for international professionals. The 50-question exam covers six areas: Basic Science; Clinical Applications; Donor/Patient Care; Instrumentation; Operational Considerations; and Standards, Guidelines, and Regulations. The qualification is valid for three years, and requalification requires participation in continuing education. For more information on eligibility routes and available resources, visit the Qualification in Apheresis (QIA) page on the ASFA website. Many Clinical Program Directors and Quality Managers believe socioeconomic factors influence clinical outcomes after transplant. The NMDP/Be the Match has several resources to help patients and their families understand the seriousness of transplants and the care patients need. A new resource recently announced is a Basics of Blood and Marrow Transplant video series. There are 10 easy-to-understand videos that use both animation and interviews with patients, caregivers, and transplant clinicians. Topics include the basics of transplant, the difference between an autologous and allogeneic transplant, HLA matching, engraftment, what it is like to be a caregiver, and life after transplant. The Basics of Blood and Marrow Transplant videos can be used individually or as a complete series. The short videos range from 2 to 6 minutes in length. The free videos are coming soon in Spanish and on DVD. This video series is a useful means to prepare patients and families for transplantation and prepare them for the long and difficult journey ahead. Such education may empower them to actively participate in the recovery process, thereby improving outcomes. Several organizations collaborate to create a standardized tool to screen allogeneic hematopoietic progenitor cell (HPC) donors and cord blood donors for communicable disease risk factors in accordance with the requirements of the Food and Drug Administration (FDA), FACT, AABB, and the National Marrow Donor Program (NMDP). Both the HPC and cord blood questionnaires were recently revised to include recommendations made by the FDA’s Guidance for Industry: “Donor Screening Recommendations to Reduce the Risk of Transmission of Zika Virus by Human Cells, Tissues, and Cellular and Tissue-Based Products. When implementing the revised questionnaire and related materials, comply with established change control processes, including document control and personnel training. Changes made to the materials are listed in accompanying charts. Throughout the past few months, the FDA has released numerous final and draft guidances that are pertinent to cellular therapy. The following are summaries of recent documents. The FDA published updated recommendations concerning donor testing for evidence of Treponema pallidum (T. pallidum) infection, the etiologic agent of syphilis. As required under 21 CFR 1271.80(a) and (c) (§ 1271.80(a) and (c)), testing must be performed using appropriate FDA-licensed, approved, or cleared donor screening tests, in accordance with the manufacturer’s instructions, unless an exception to this requirement applies under 21 CFR 1271.90. This guidance clarifies that the FDA does not consider cleared or approved diagnostic tests or pre-amendment devices (which have not been licensed, approved, or cleared) to be adequate for use in donor testing for T. pallidum infection under the criteria specified in § 1271.80(c). The FDA recommends the use of an FDA-licensed nucleic acid test (NAT) to test living donors of HCT/Ps for evidence of infection with West Nile Virus (WNV) to reduce the risk of transmission to recipients. The draft guidance document provides certain establishments that manufacture non-reproductive human cells, tissues, and cellular and tissue-based products (HCT/Ps), regulated solely under the Public Health Service Act (PHS Act) and under FDA regulations, with recommendations and relevant examples for complying with the requirements to report HCT/P deviations. The FDA published finalized guidance entitled, “Investigating and Reporting Adverse Reactions Related to Human Cells, Tissues, and Cellular and Tissue-Based Products (HCT/Ps) Regulated Solely Under Section 361 of the Public Health Service Act and 21 CFR part 1271; Guidance for Industry.” The guidance document provides establishments that manufacture HCT/Ps for which no premarket submissions are required with recommendations for complying with the requirements for investigating and reporting adverse reactions involving communicable disease in recipients of these HCT/Ps. The guidance also provides updated information specific to reporting adverse reactions related to HCT/Ps to supplement the general instructions accompanying the MedWatch mandatory reporting form, Form FDA 3500A. The FDA announced the availability of, “Homologous Use of Human Cells, Tissues, and Cellular and Tissue-Based Products; Draft Guidance for Industry and FDA Staff.” The draft guidance document provides human cells, tissues, and cellular and tissue-based product (HCT/P) manufacturers, health care providers, and FDA staff with recommendations for applying the criterion of “homologous use” as it applies to HCT/Ps. Comments must be submitted by September 27, 2016. The FDA is again accepting comments for the following draft guidance documents. Comments must be submitted by September 27, 2106. The following individuals completed their first active inspection from November 2015 through March 2016. Congratulations and thank you for volunteering your time and expertise to advance cellular therapy! Organizations with personnel who also serve as FACT inspectors typically perform better during on-site inspections than their counterparts without an inspector. If you are interested in serving as an inspector, submit an online application!